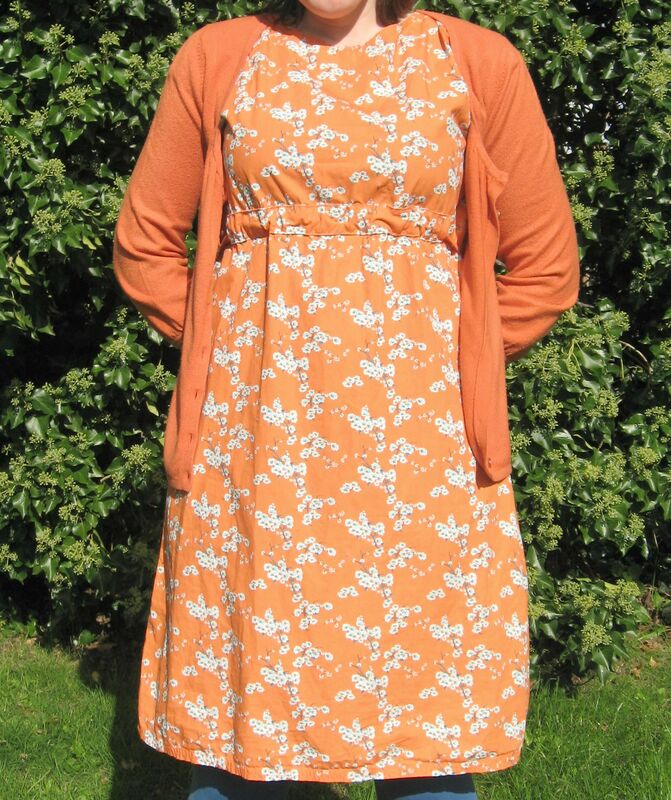 After what seems like an extraordinary amount of time, my grannies paperweight crochet scarf is now all fit for modelling in the Autumn sunshine…. 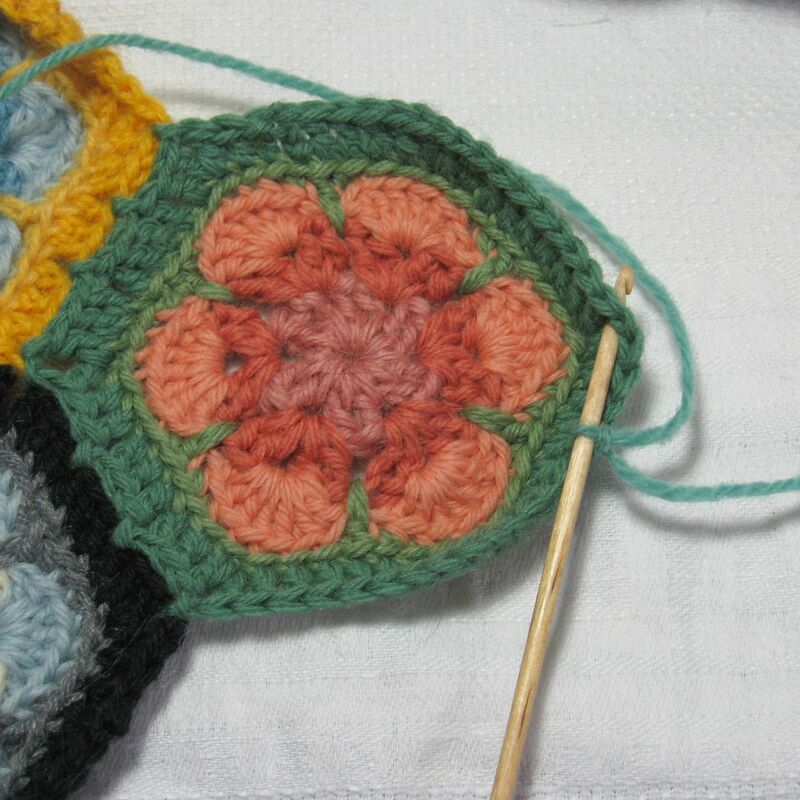 A few years ago I fell in love with the Grannies Paperweight crochet pattern (otherwise known as the African Flower pattern) after seeing a beautiful blanket on Flickr by Andamento, and after I tried it out using acryllic yarn (and not particularly caring for the results), I then thought it would be the perfect project to make using tapestry wool as that seems to come in a million and one different colours, certainly a wider range than most wool companies produce. 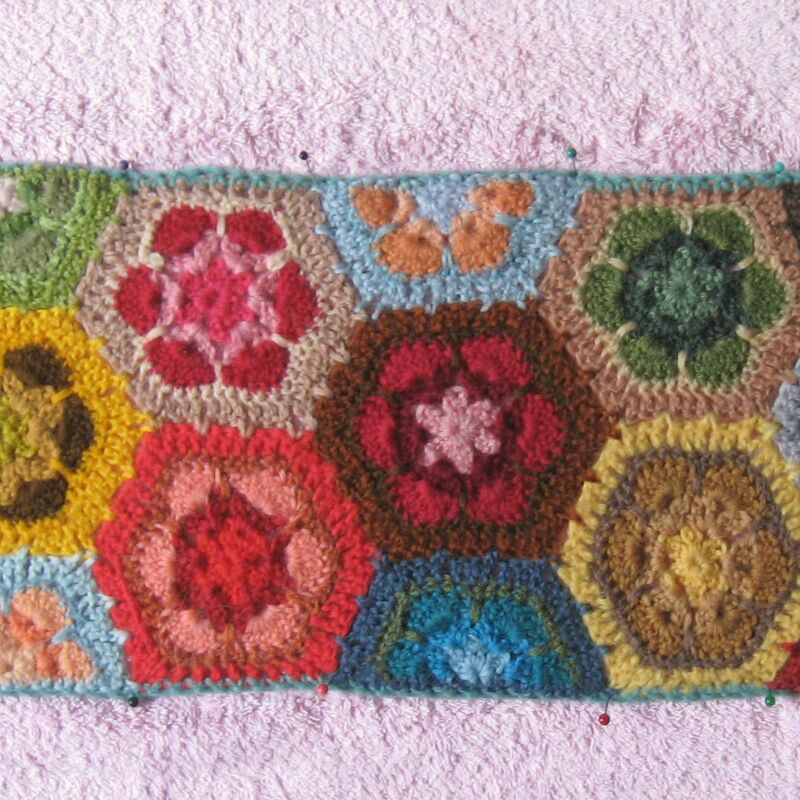 I was very happy with the results, wonderful combinations of colours that took me by surprise blended together perfectly, and making hexagons that varied often only a little in rich and gentle hues and tones of one colour made the crochet pulsate and look like a jewel box when it was being spread out on the carpet while it slowly grew bigger. While I was still making the blanket I began to think of other ways I could use this pattern and because as soon as the joined hexagons became large enough, I was finding myself wrapping them around my shoulders, I thought about making something I could wear out and about…I love being able to fling something around myself in dramatic and affected way (think Miss Piggy having a full blown diva moment) and so I began work on a scarf. While I’ve been crocheting the tapestry wool I’m aware that the wool varies in thickness somewhat from brand to brand, and that I use particular brands differently..
Certain vintage brands like Penelope or Beehive are slightly fuzzy and I think these work best either for round three or for joining the hexagons together. 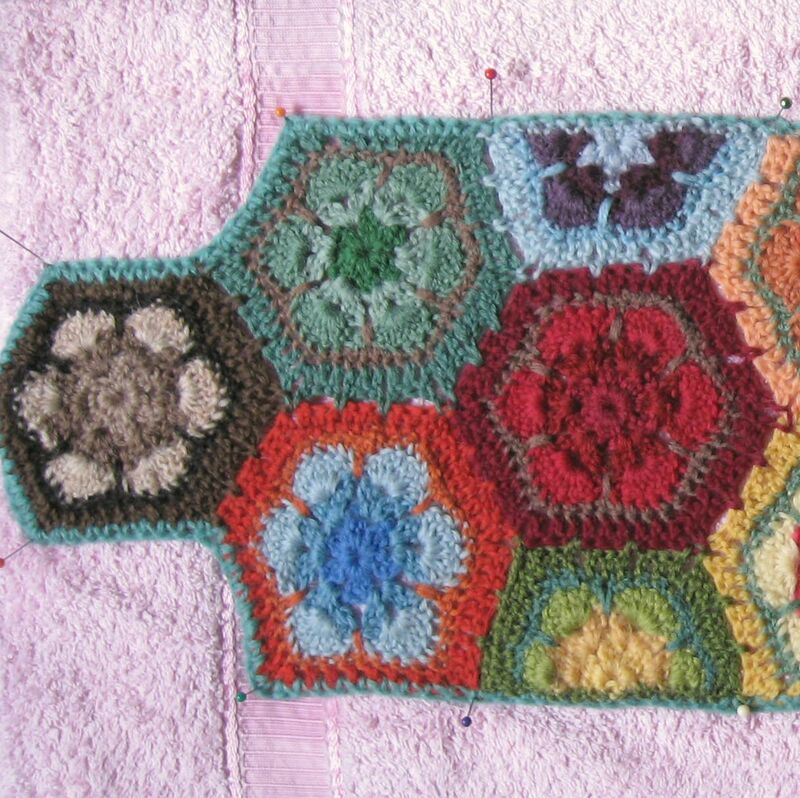 Vintage anchor wool from old needlepoint kits is also very good for joining the hexagons together. 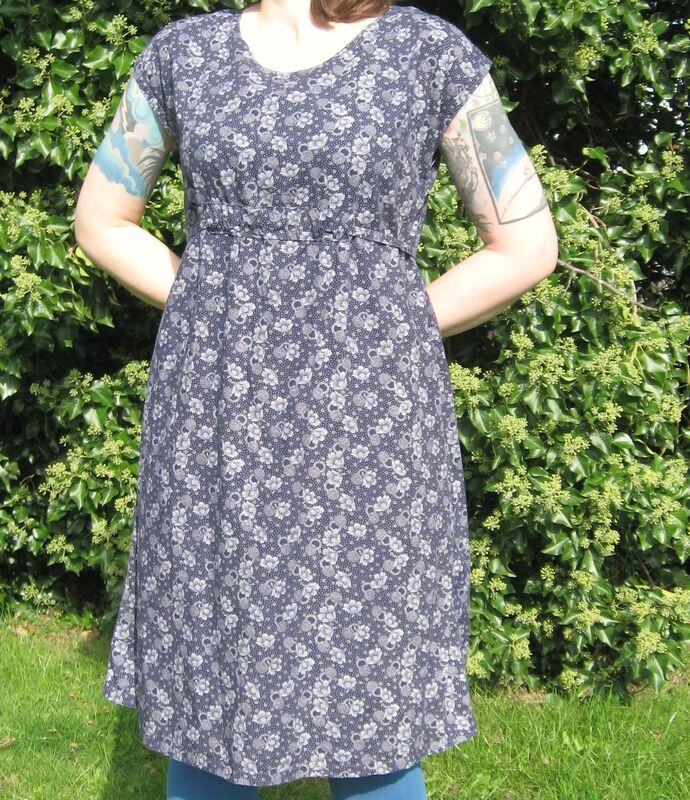 More modern Anchor, DMC and Rowan wools are plumper and seem to work better for the other rounds. 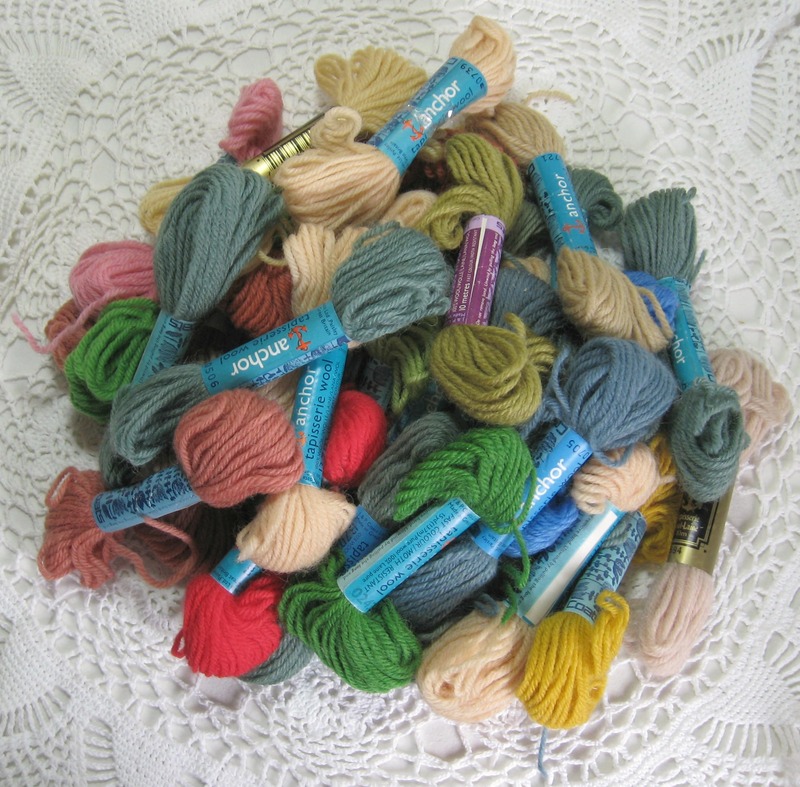 If you live in America then you should be able to source “Elsa Williams” needlepoint yarn (I was lucky to buy some a few years ago via Ebay)…this is a really nice wool, perfect to use for all the rounds. Generally before I start anything I like to have a little play around with colour, I always up-end a big bag of tapestry wool and have a good old mess about with the different wools, comparing colours and different tones together. 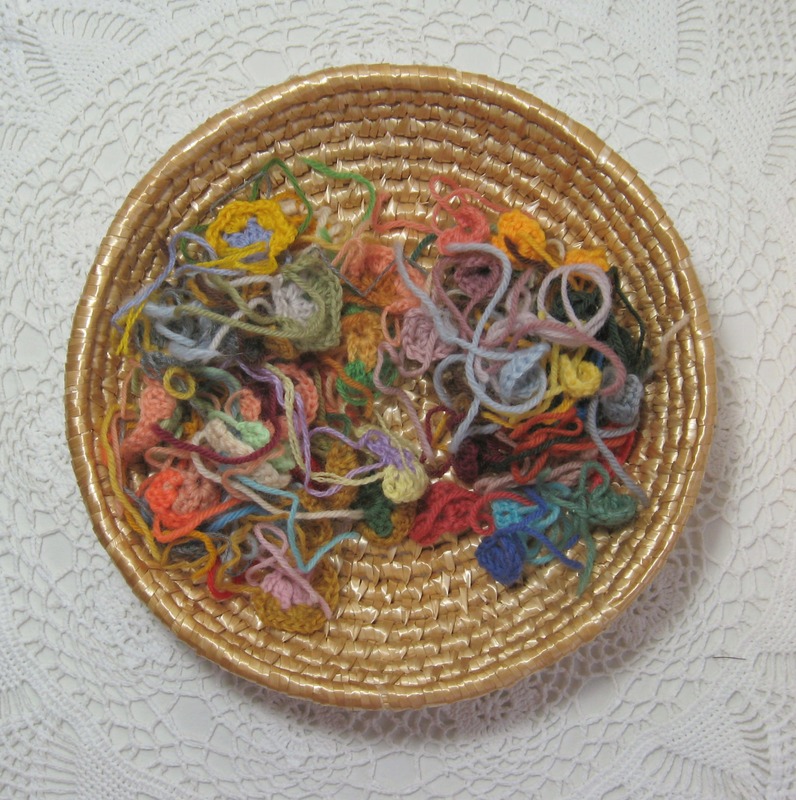 And I’ll often paint out combinations of particular colours I have a fancy to before crocheting….sometimes the colours work, sometimes they don’t but I never see this time spent as wasted. 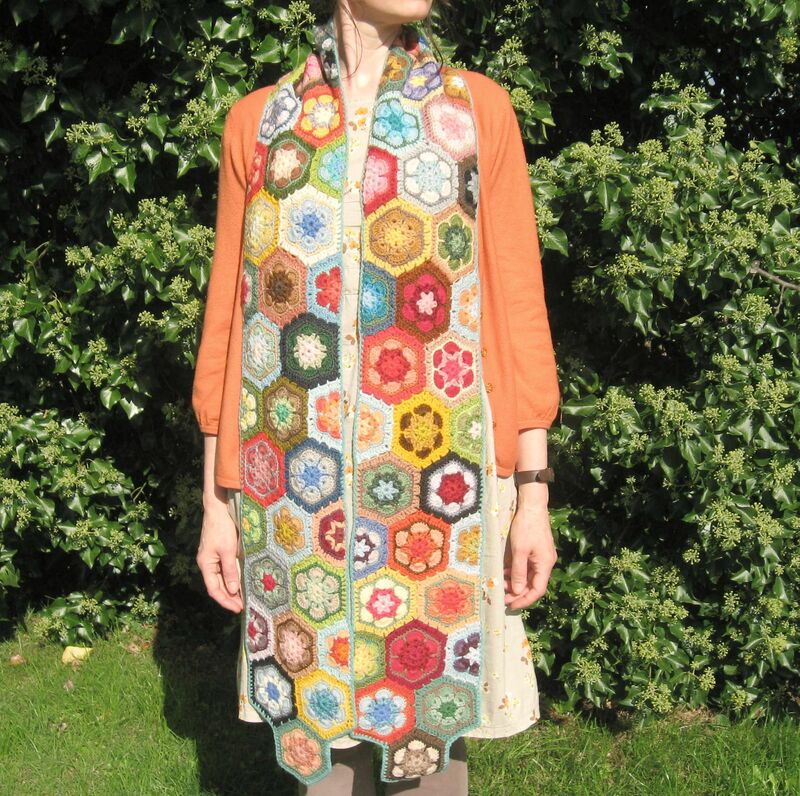 To make a scarf you’ll need to start off by making 4 rounds of a grannies paperweight hexagon. I found it a bit easier to make a dozen or so little circles for the centre of the hexagon at a time, before making them bigger and working on the other rounds.. When I was first trying to learn how to make a grannies paperweight hexagon, the very best tutorial I found for making them was on lovely Heidi Bear’s blog, and her tutorial on making them is exceptional, however she makes her hexagons larger than mine, I prefer to make them smaller as I think it makes the colour more intense. 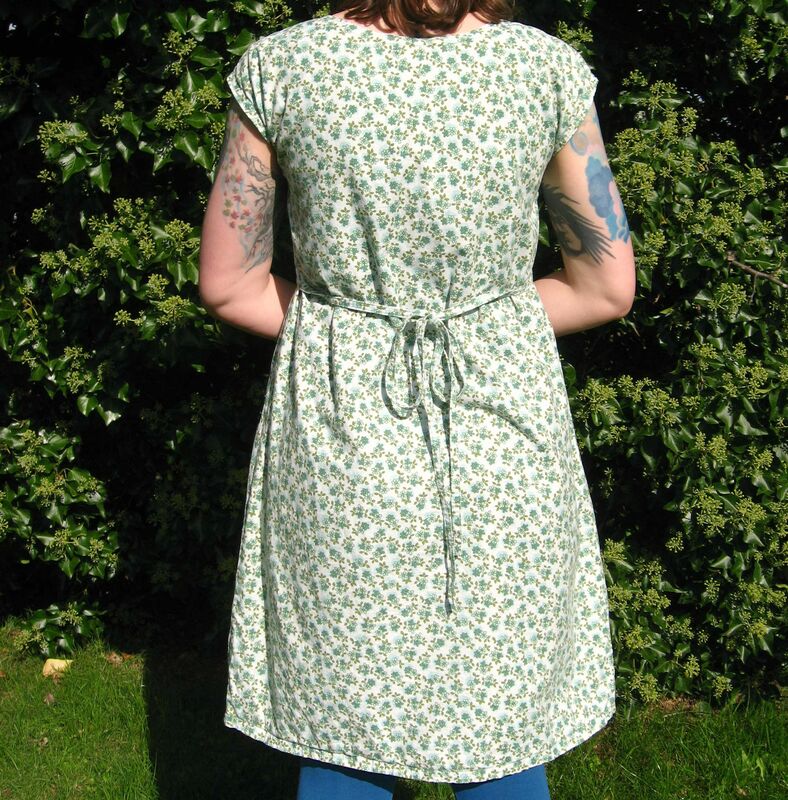 She also suggests using a 5mm hook but I find a smaller hook size suits me better. I found I got a nicer result when I used two different hook sizes. 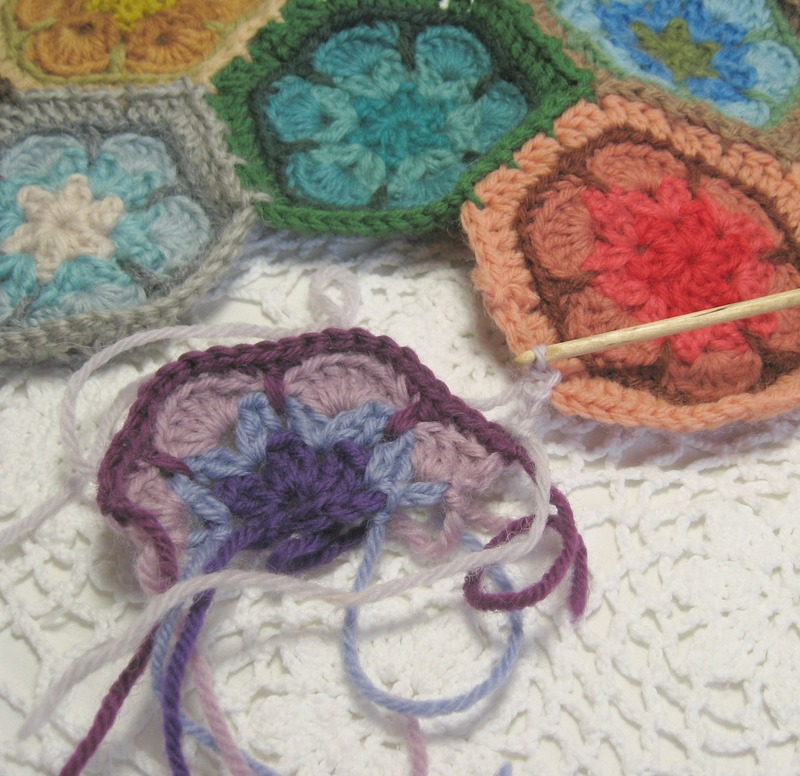 (the smaller hook pokes through those top stitches of round 3 a treat and then helps form a nice dense band of colour when you join the hexagons together. For the first 3 rounds I use a 4 mm hook and then change to a 3.25mm hook for rounds 4 and 5. After you’ve made a dozen or so hexagons (only up to round 4), you can begin to lay them out, have a play with which hexagons look best together. This bit is so much fun, it’s rather like a jigsaw puzzle where, although all the pieces are the same shape, positioning a piece in a particular place either works (making all it’s neighbours sing) or looks a bit pants. 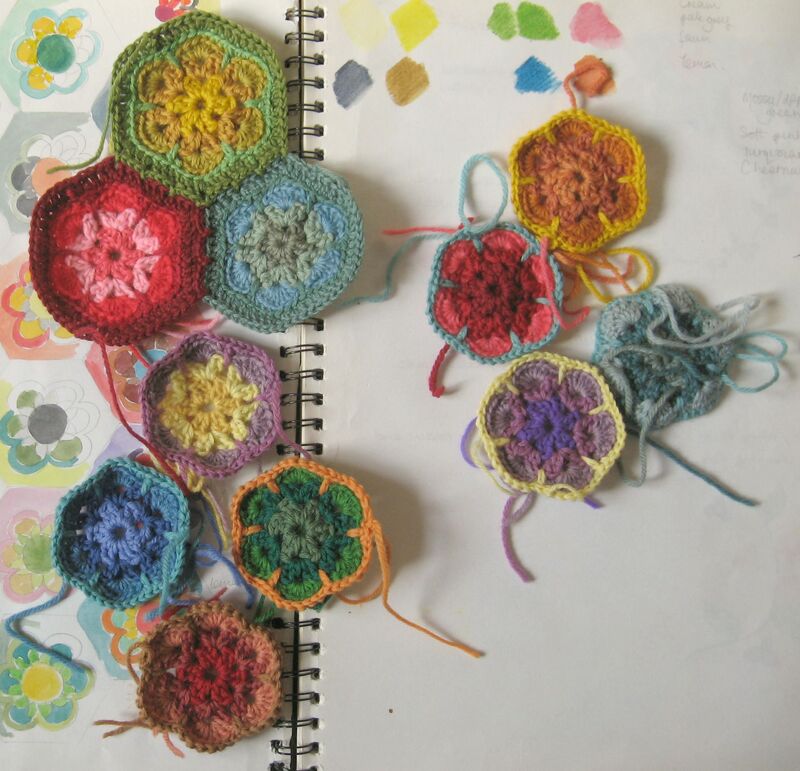 Heidi has a lovely easy to follow tutorial on how to join the hexagons just here. 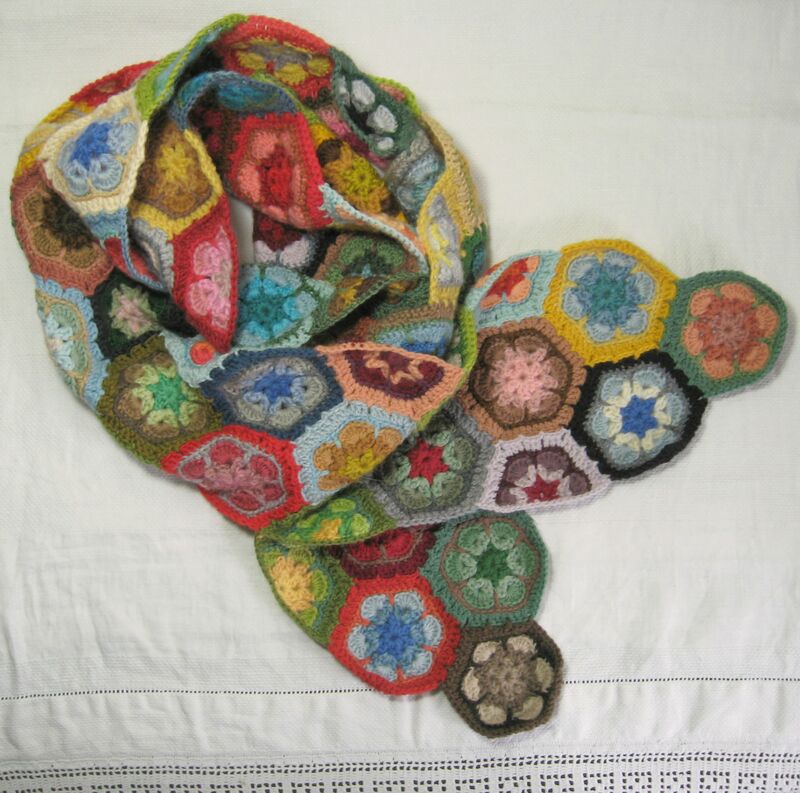 The hexagons are placed together a bit like bricks on top of one another, 1, then 2, then 1 then 2 and so on until the scarf is at the length you require. 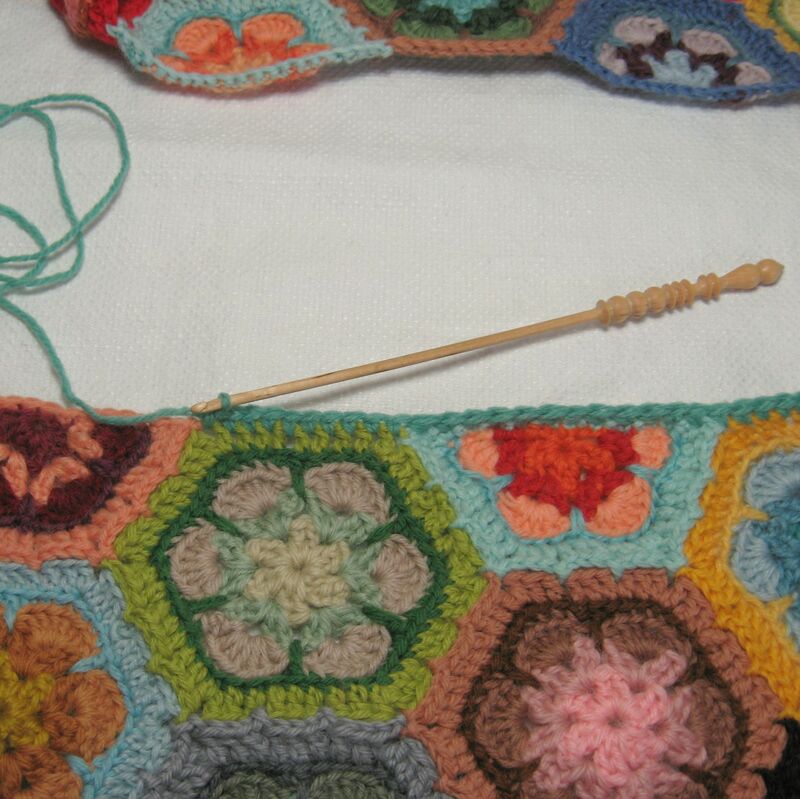 Both ends of the scarf will be finished with a single hexagon. The sides will each have a row of half hexagon gaps along them, these will then be filled with half hexagons. 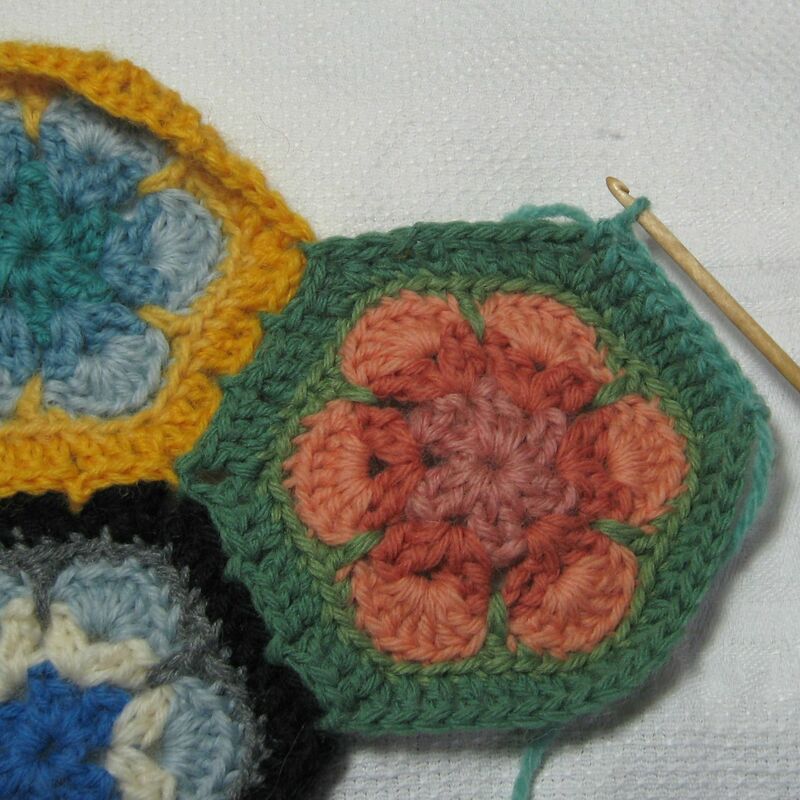 I found it easier to make the half hexagons once the whole ones had been made and joined together as they are crocheted back and forth rather than in a round and it gave me a headache trying to switch back and forth. I was also able to spread the scarf out and make a note of any particular colours I felt were lacking or that I thought would fit in nicely. 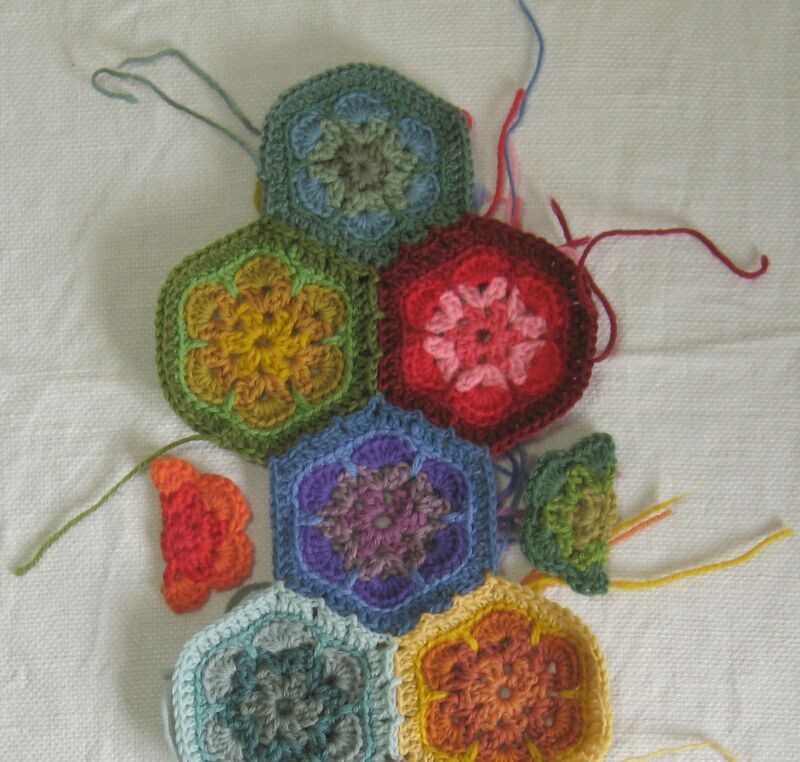 Joining in the half hexagons is a bit more fiddlesome than joining together the whole ones. At this point I often stop and make a pot of tea. 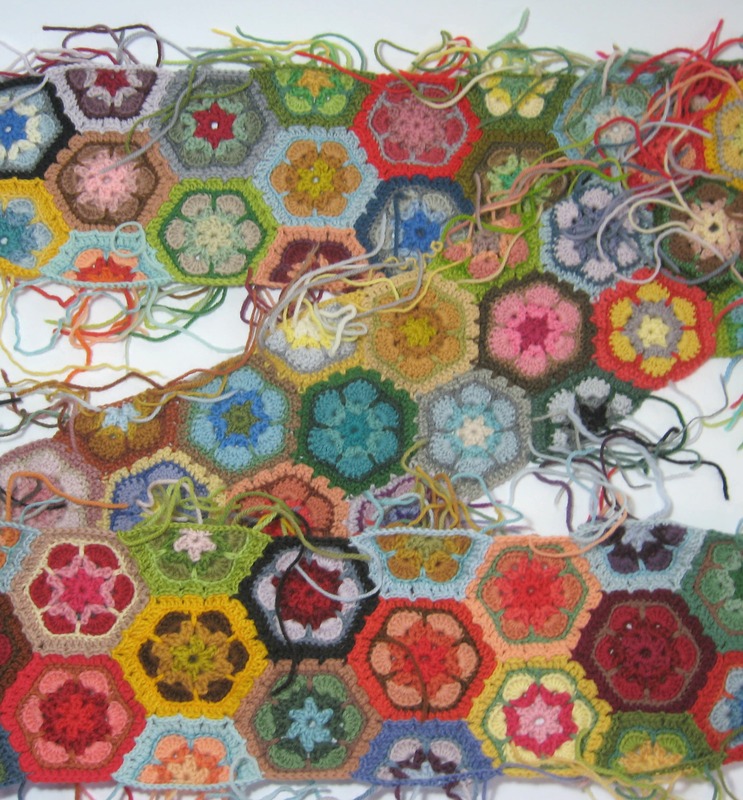 Once all the hexagons have been joined together then it’s time to sew in all those troublesome woolly tails. While I appreciate that there is a way where you can work your woolly tails in while you crochet (and save yourself the what seems like an endless amount of time sewing in umpteen ends) whenever I try to do it that way my crochet looks all lumpy and mis-shapen….so I’m a woolly tail sewer, but if you can do it the other way, then go ahead as it will save you a fair amount of time. Once all the tails are sewn in then the scarf is almost ready. 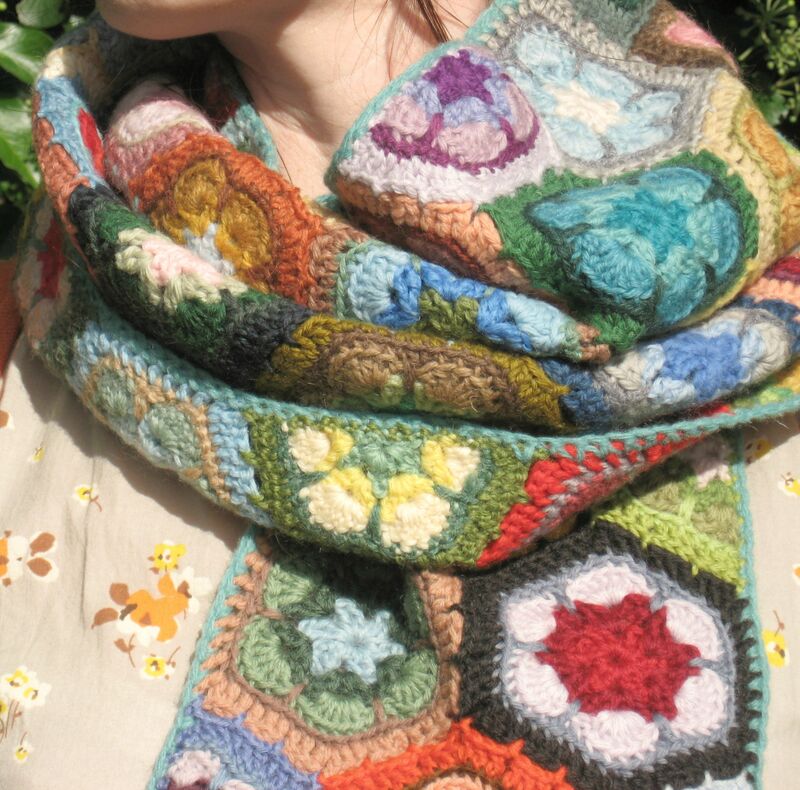 (if you want you can wear it like this but I find the half hexagons are often a bit lumpy so crocheting all the way around the scarf makes it look a lot neater. I used Jamieson’s of Shetland wool (double knit weight) as it was perfect to use for the edging as it was almost the same weight as the tapestry wool. I used a Brittany 3.25 hook to crochet the edging. Once the edging has been crocheted then I’d really recommend gently washing your scarf in a special wool conditioner (tapestry wool isn’t the softest in the world) and then blocking it out and allowing it to dry thoroughly. 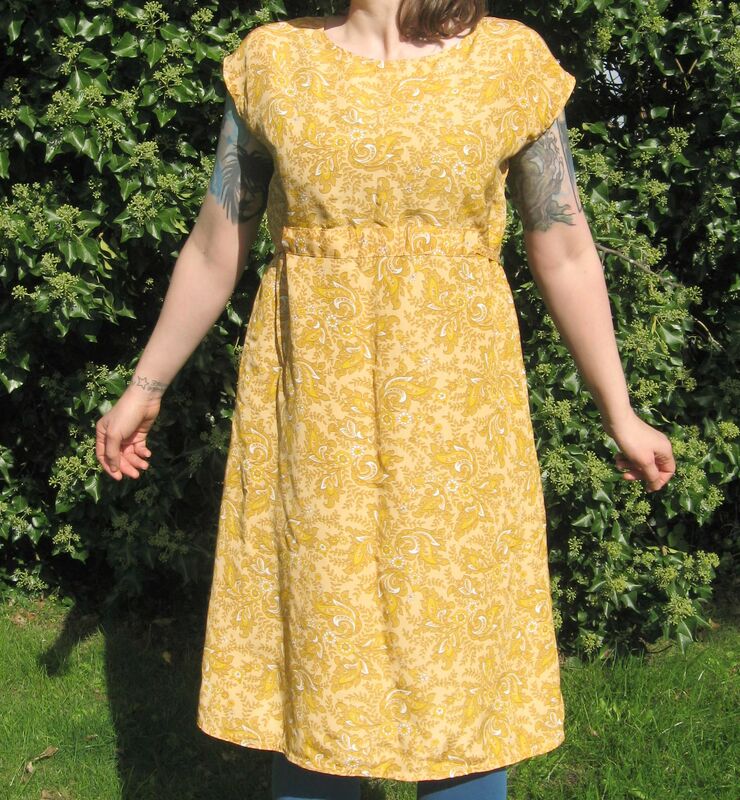 Using a little bit of what seems to be about every colour there is going means this will look just perfect worn with anything, there’s nothing it won’t look spectacular with. 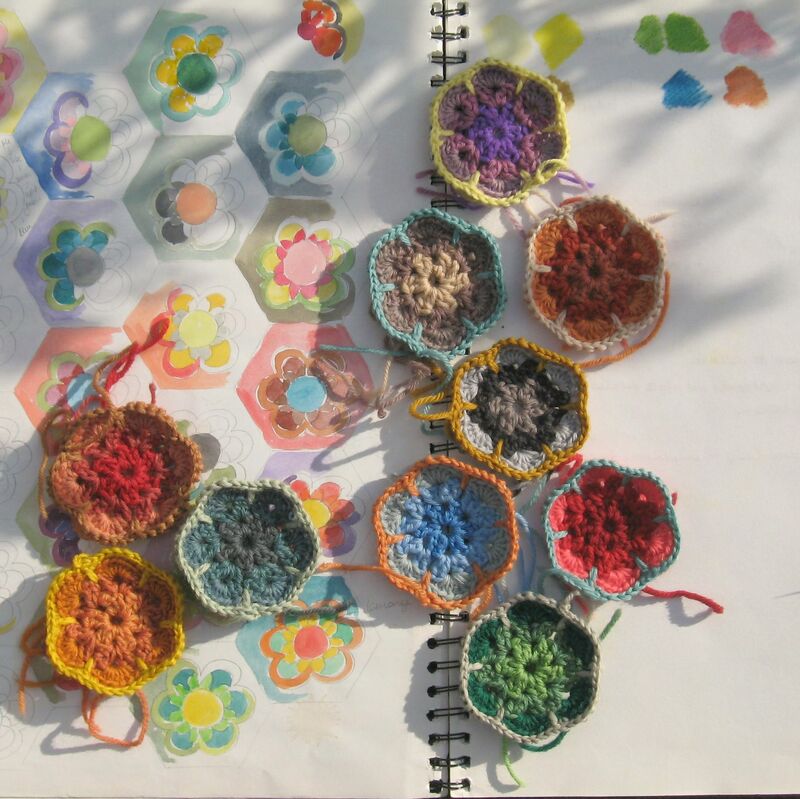 My hexagons are made up of 5 rounds, each round has 2 ends or tails so 10 per hexagon (even the halfsies which doesn’t really seem fair) so that’s 690 woolly tails to sew in when you’re all finished crocheting. 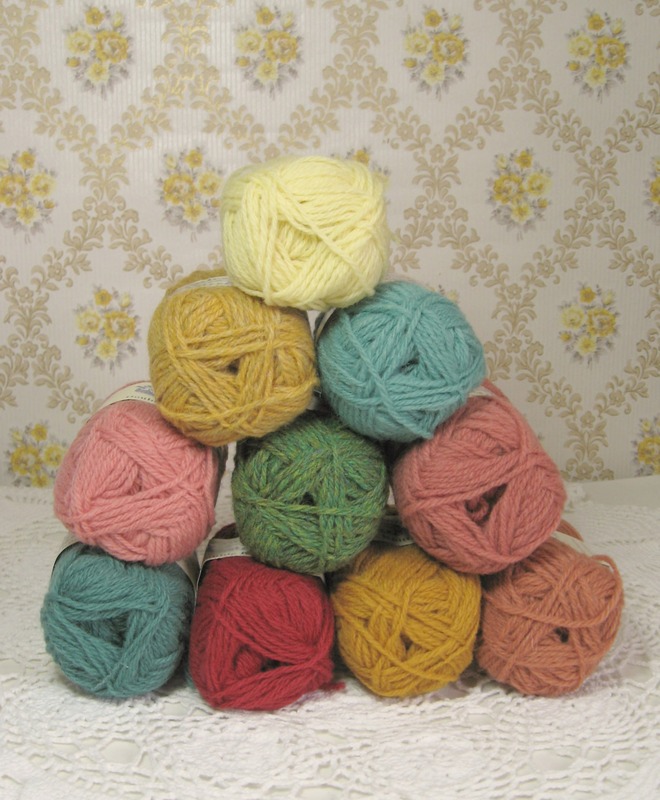 Tapestry wool skeins vary from 9 yards up to 15 yards. There are 36 inches in a yard. This has really been Inspired by memories of buying a little paper bag full of fair rock from the shop down the road when I was small (sadly an old time sweetie that doesn’t seem to have been resurrected), mixed in with those beautiful millefleur paperweights that you often find in antique centres and sumptously embroidered velvet collars on evening coats designed by Paul Poiret, I’ve made this scarf so you can wrap yourself all up in every colour under the sun and then some. Please understand, this isn’t a weekend make, it’s going to take a while (I started mine in the Spring of 2013 or thereabouts and though I wasn’t working on it all the time it won’t be fastest scarf you ever crochet) but I think it’s worth it. 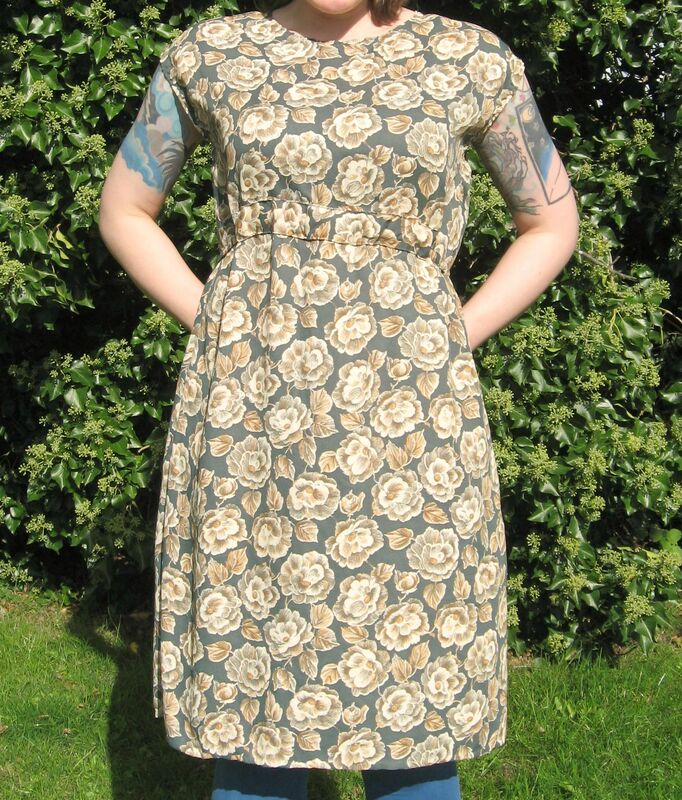 I’d also like to thank Heidi Bears so much for her tutorials which made sense of how to make this hexagon. Woolly tails, pots of tea and preparing for the Autumn…..
I’m not sure exactly when I started making the scarf, sometime in the Spring of 2013 because I’d been working on the grannies paperweight blanket by then and just loved the pattern so much that I then wanted to be able to wear something using it. Now it’s all made up it reminds me very much of those beautiful turn of the century coats by Paul Poiret that had sumptuous velvet embroideries down the front, and while recently re-watching The House of Elliot**, noticed Miss Evie wearing a rather nice coat that had a raised collar that was all embroidered in what I think of as “Bloomsbury” colours. Rather than join the hexagons together into a flower shape or cluster of 7, the hexagons are joined 2 on top and 1 to the side with half hexagons used to fill in the gaps. 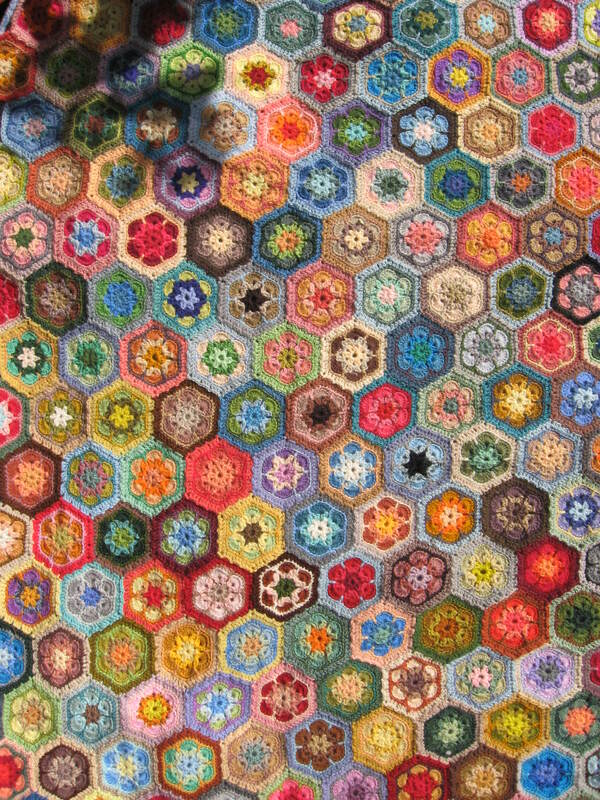 When I first tried making the half hexagons I found them really difficult and other people’s patterns I’d seen for them weren’t really what I needed to fit into my blanket, however after a bit of playing around I’ve came up with a way that worked best for me so over Christmas I sat down and just made a whole load of them and before I knew it I’d made enough for the tops and bottoms of the blanket (tails of which are still slowly being sewn in….) 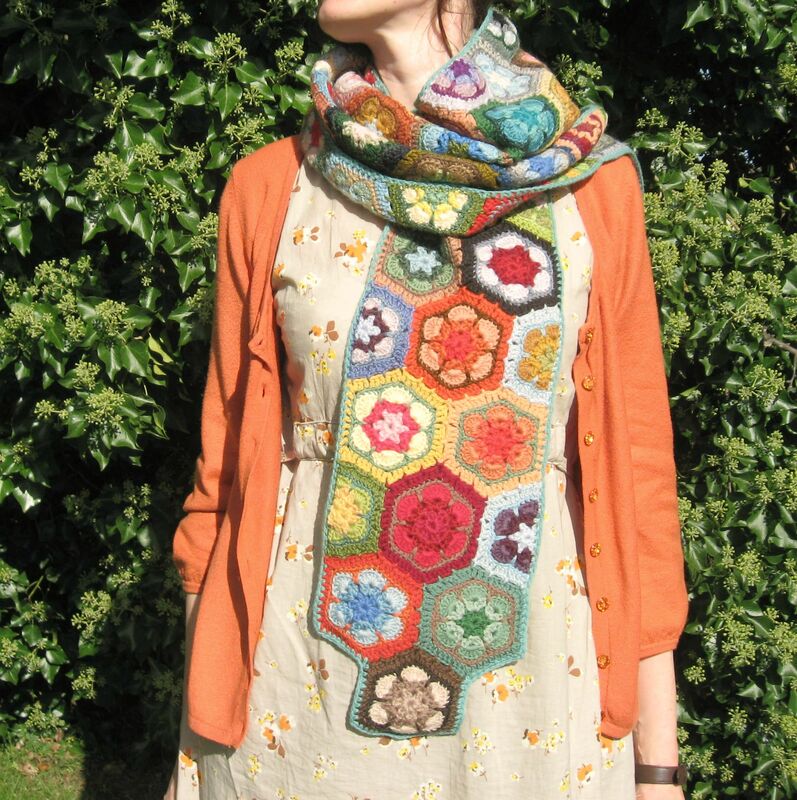 as well as half hexagons for the scarf…. Then once the half hexagons were all joined in it was a case of sewing in the woolly tails on the back (and yes I know there is a way where you join them in as you crochet along but whenever I do it like that then I get a fat lumpy side and the crochet looks proper peculiar, I can only think it’s because I’m doing something wrong as I’ve seen other peoples crochet worked this way and their’s looks fine…) Each hexagon has 10 tails (even the half hexagons) so they soon add up. 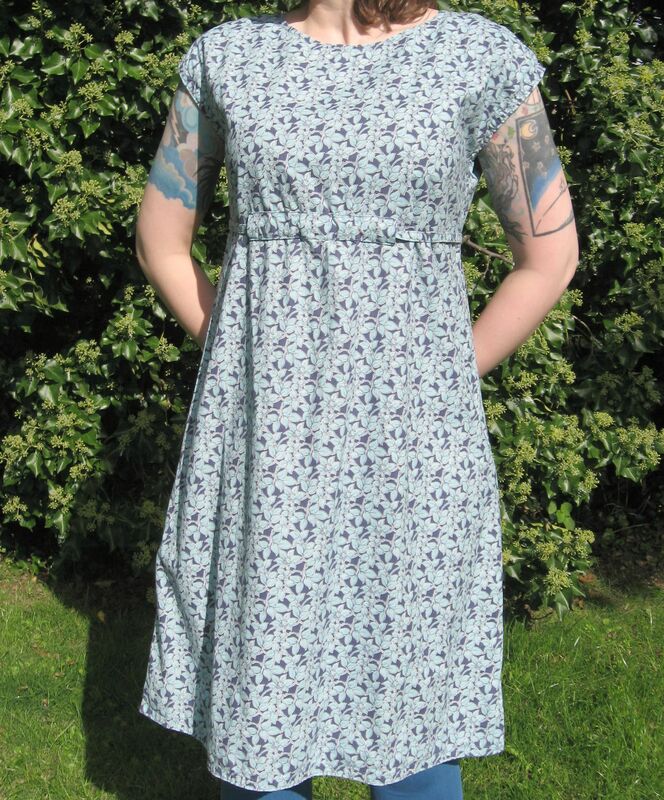 It’s probably the part I like the least, it’s boring more than anything else and I can always find something more enjoyable to sew or work on instead. However, as the weather was so wet, and rather chilly I thought it best to get this finished so I can be all ready to wrap myself up and keep warm as Autumn’s presence is being felt. (I do feel the cold something rotten and seem to have a 101 scarves, and it’s the ones I made myself that I always get the nicest comments on….it was great getting stopped by a lady who said “is that the dottie angel scarf” and we then spent a few minutes squidging the puffs of my scarf together. Once all the tails were sewn in, my scarf was pretty much ready to wear though the sides were a tad on the lumpy side…I decided a very simple edging would probably work the best at pulling in the bumpy bits (the crochet version of magic knickers) and also I didn’t want to do anything too fancy as I knew that would just make the scarf too wide (in the past I’ve made scarves that I could barely see over once they were wrapped around me and when my face gets too covered my glasses steam up.) I’ve used Jamieson’s of Shetland double knitting wool before when I was edging the cushion fronts and thought this would be the best wool to use for a simple single crochet edge. The rest of the scarf was used in tapestry wool and the Jamieson’s wool has a very similar texture and weight to it. And their colours are lovely. 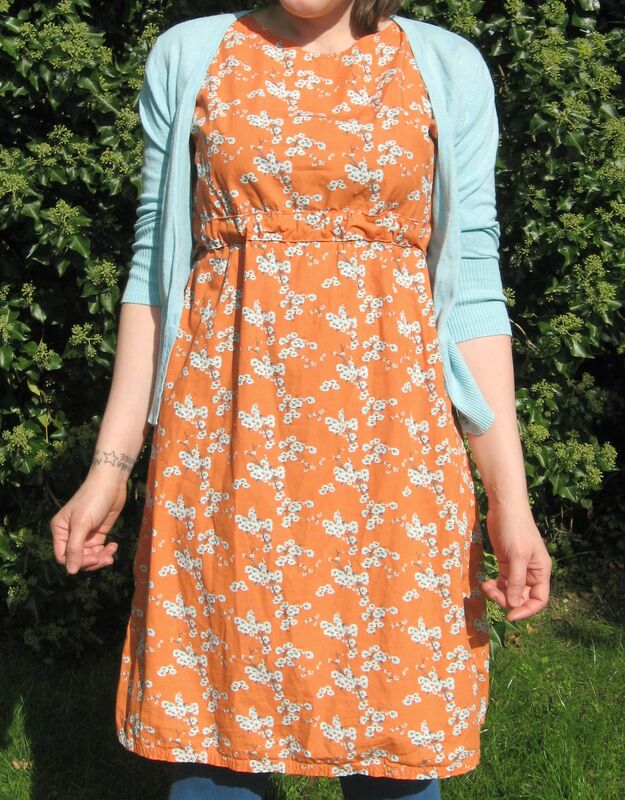 I’ve used mint as that seemed to look the nicest against the colours used in the main part of the scarf. 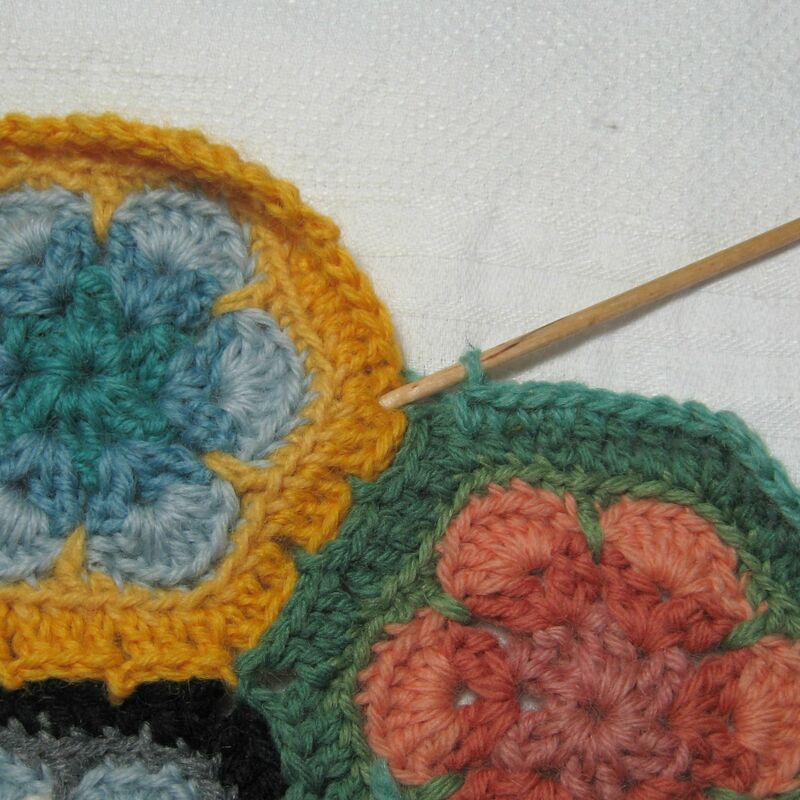 The edging was pretty easy to do though I’m explaining it in a fair bit of detail because when I learnt to crochet I really needed every part shown thoroughly or I just didn’t understand what I was supposed to do…..if you can crochet then please bear with me. Just keep working along the edge making the single crochet stitches through the bars along the side. 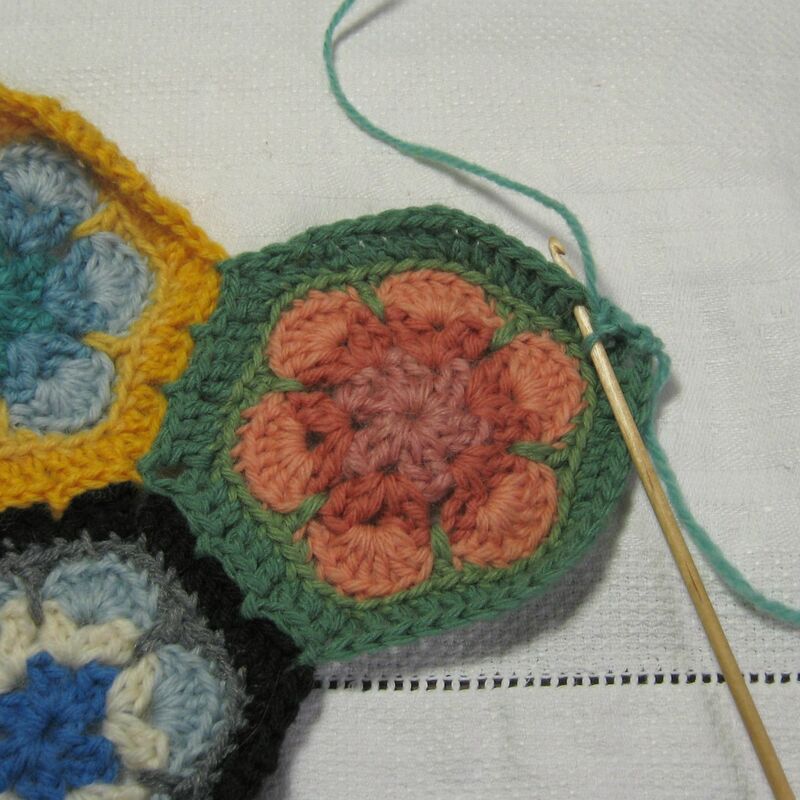 Now just work along the second side, making a single crochet stitch through each “bar” on the side. When you get to the corner there are two different ways you can work the corner…. You can avoid inserting the hook into the gap at the end of the first side, and instead insert it straight into the gap of the second hexagon (this is what I’m doing in the picture above.) Scoop the wool round the hook and pull it through the gap and continue to make a single crochet stitch before working along the rest of the third side. 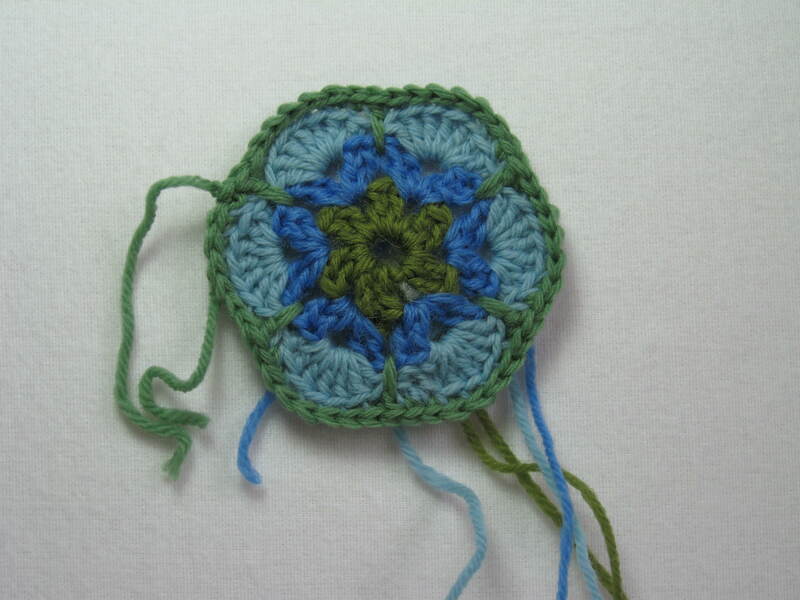 I crochet quite tightly and found this looked better for me. 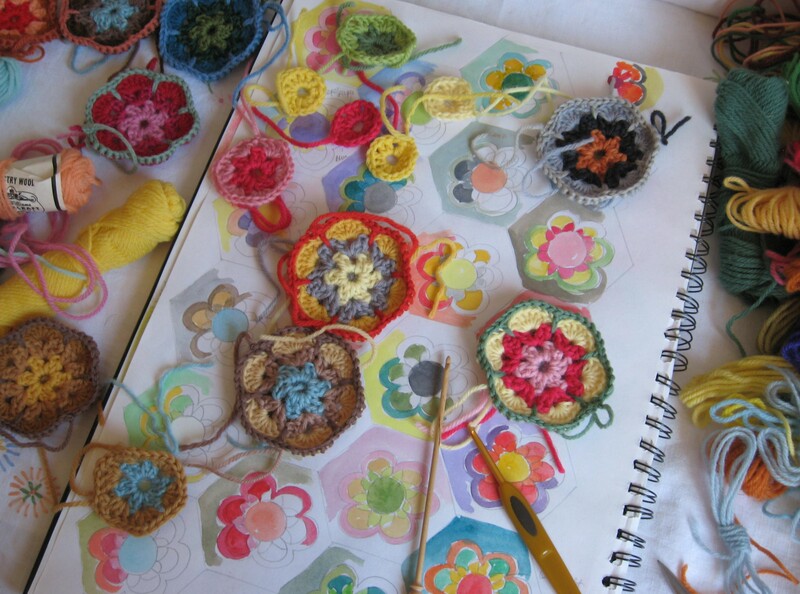 However, depending on the wool you use and how you crochet you may prefer this way…. Insert your hook in to the gap on the first hexagon, scoop up the wool around your hook and pull it through the gap, now with that wool still on your hook, insert your hook into the gap in the next hexagon, wrap the wool round the hook and scoop it through. 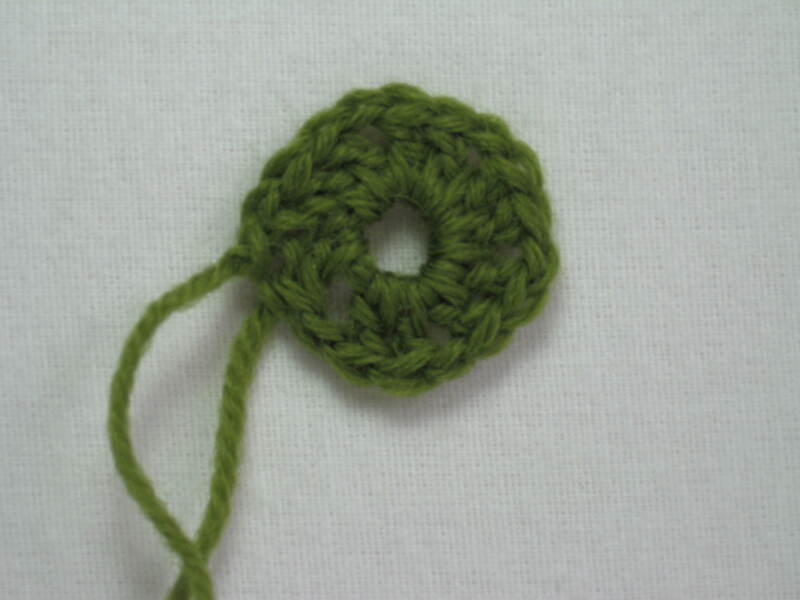 You’ll now have what look like 3 stitches on your hook, pull them all through the first stitch on your hook and then continue along the rest of the side with the single crochet stitches. Whichever method you use, make sure you only go through the corner gaps and not between the two hexagons where they join together. 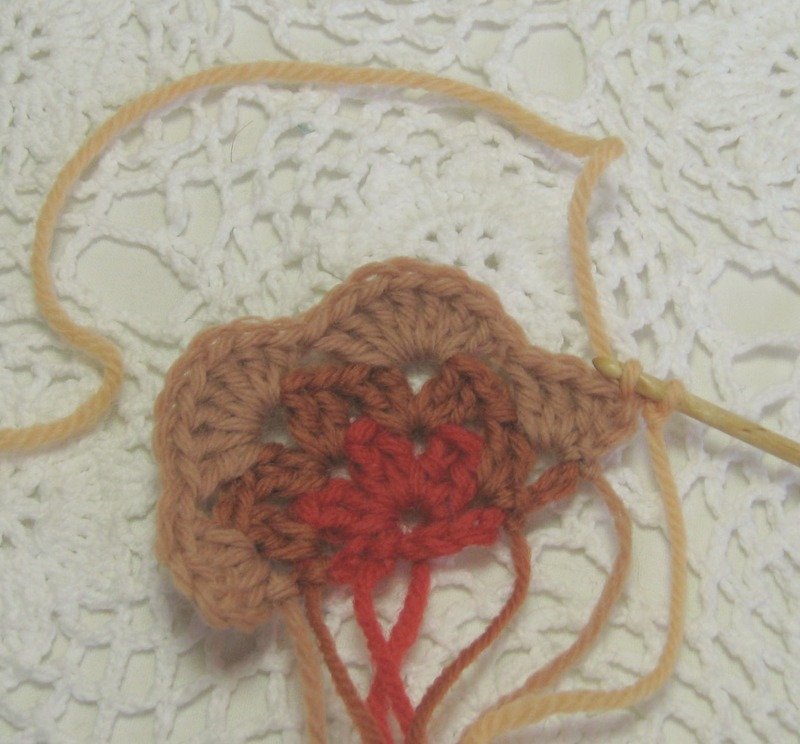 When you get to the corner you’ll need to make 2 single crochet stitches in the gap, and again, if you want you can make a chain between them. It’s completely up to you. 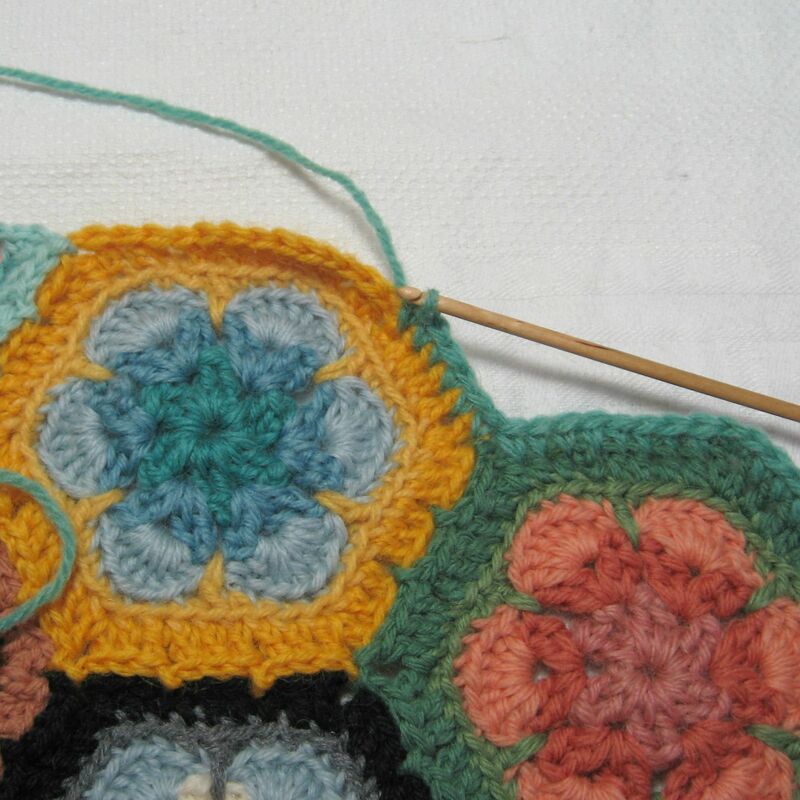 When you work along the edge of a whole hexagon, crochet between the bars exactly like you did for the previous sides. 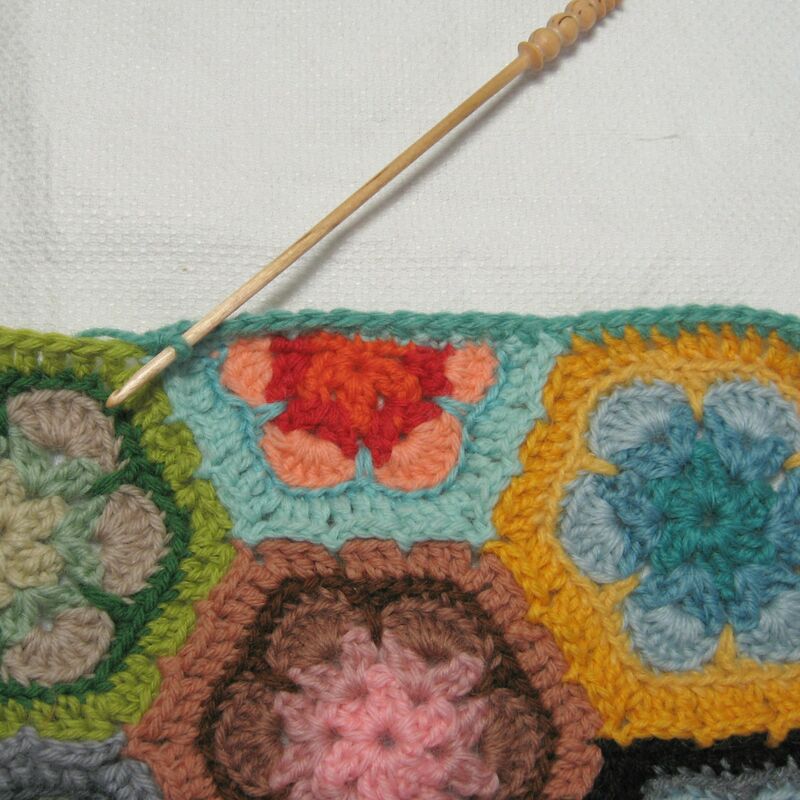 When you crochet along the edge of a half hexagon it’s a little different. 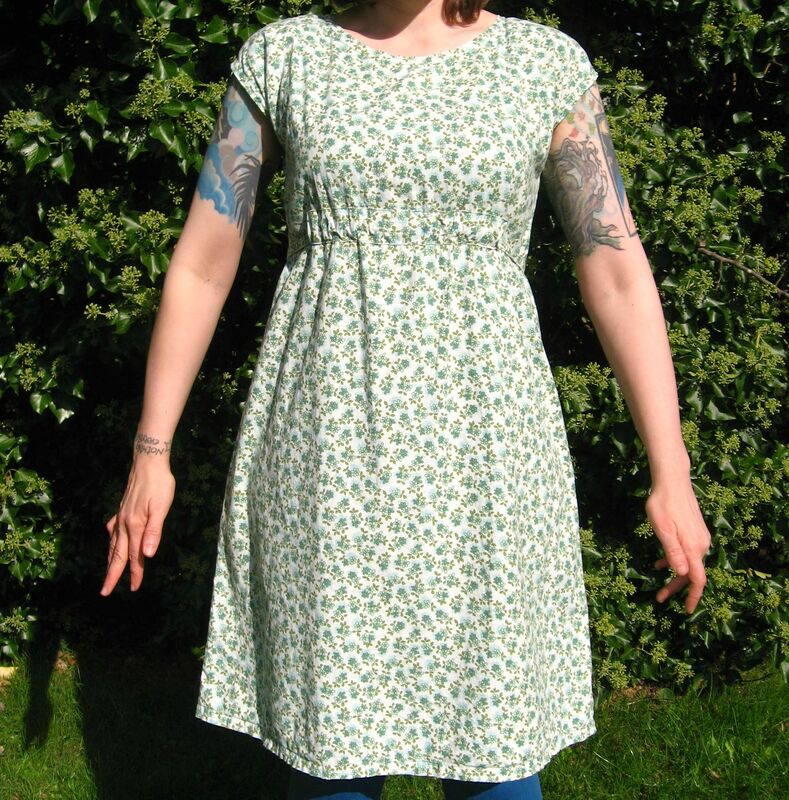 This time you work just under the bottom of the stitch and you want to make about 12 stitches along the half in total so you aren’t working under every stitch. I know this sounds a bit odd but I found that this helps keep the bumpy bit in line (think of it working like magic knickers for when you’ve had too much cake). 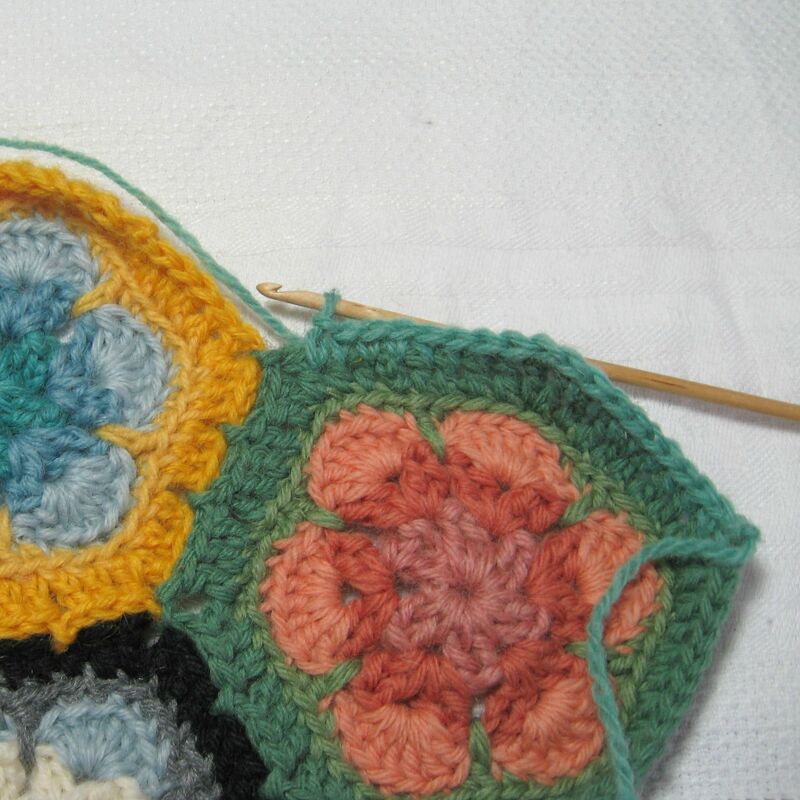 Try not to make a stitch right at the start and end of a half hexagon so the stitches through the gaps of the whole hexagons have enough space. 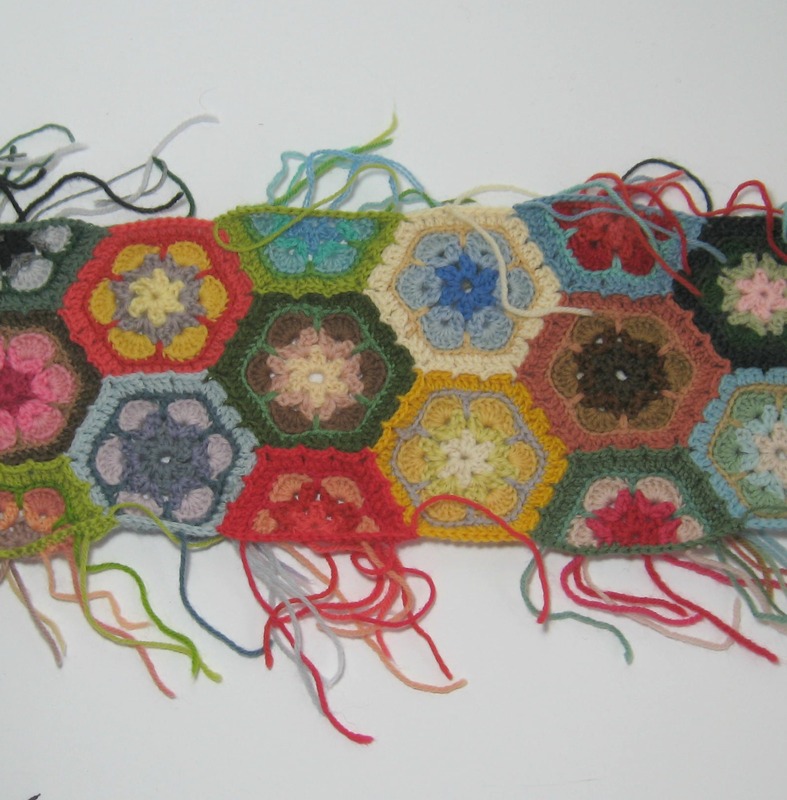 If you click this picture it’ll come up nice and big and you’ll see the start and end stitch through the gaps in the whole hexagons either side, and then you’ll be able to count 12 stitches along the half hexagon between them. I promise you it’s a lot easier than it sounds. Then you just continue like that all the way around the edge of the scarf before joining it off and sewing in those 2 last tails. After a little soak in some lukewarm water and wool conditioner I let the water drain before folding the scarf over and over and then pressing out the water, it’s important not to squeeze or wring it as then it’s going to look a bit rum. I then laid out some towels out along on the floor which I’d folded a few times so they were a nice thickness and then laid out the scarf. Working out from the middle I pinned the scarf at all of the points where the hexagons joined together, and using a ruler made sure that the scarf was nice and even all the way along….I didn’t use special blocking pins just cheap ones that I’d been given but which I found were too thick to use for my everyday sewing (though I’m thinking I may need to get some of the proper blocking pins and some mats for future projects). I left the scarf for two days like this and then when it was pretty much dry folded it into four before placing it in our airing cupboard so it could completely dry through and we’d get our living room back. Pictures of the scarf all finished and modelled will be coming along with all the relevant links to post on how I made it. *this is the nicest tea I’ve ever had and could happily drink it ’til the cows come home. **(ooh and if you enjoyed The House of Elliot I’d thoroughly recommend Miss Fisher’s Murder Mysteries…it’s a good series to watch but the costumes totally steal the show. It’s set in the Twenties and it’s an Australian drama, one episode even has Shane Ramsey from Neighbours in it doing a well dodgy French accent. It’s about a lady detective called Phryne Fisher who has a habit of getting into mischief while wearing the most incredible looking clothes. There’s a fair bit of romance and brief liasions with her and what seems like a new dishy fella occur in each episode but that doesn’t stop her from still flirting terribly with the local police inspector. It’s available as dvds so you should be able to hire it from your local library. Essie Davies as Miss Fisher is so good and she really suits those lovely period costumes. As well as attempting to finish the grannies paperweight blanket, one of the other projects I tried to get on with over the holidays was this scarf I’d began in the spring of last year also using the grannies paperweight crochet pattern….I’d made most of these hexagons at least a year ago and happily a lot of the tails were actually sewn in (hoorah!) 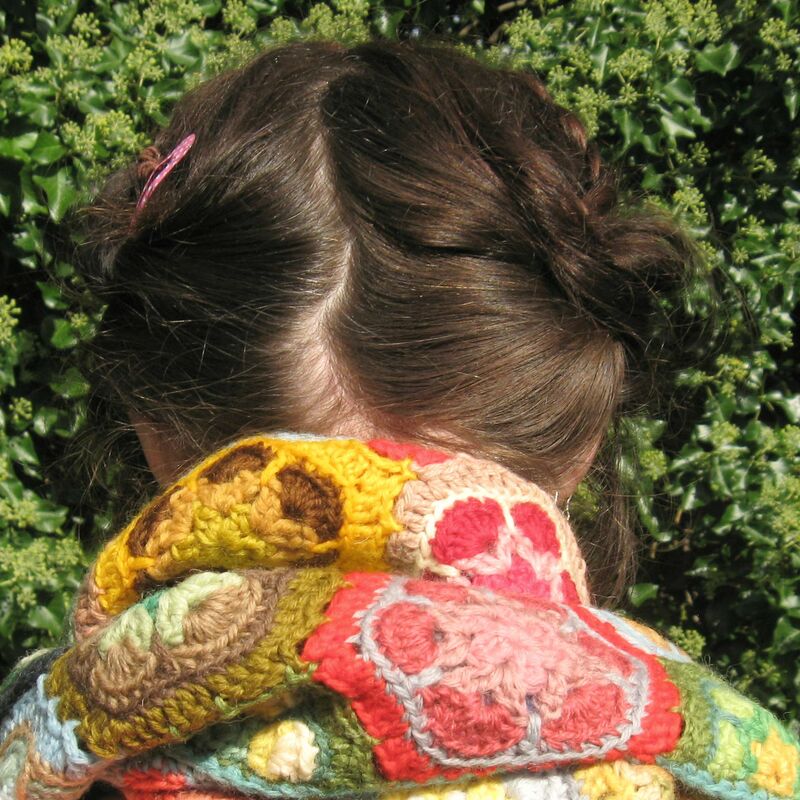 I know there are ways where you can crochet the tails in as you go, but whenever I attempt to do this I end up with a really fat wodgy sausage side….I’m obviously not doing it right so for now I just resign myself to sewing hundreds of multicoloured woolly tails….. I got a bit carried away when I was making half hexagons for the grannies paperweight blanket and thought as I’d already made a few extra to just keep making them so I would have enough for both sides of my scarf…..I actually ended up with enough for a couple more projects I’ll be showing soon, I’m just sorting out the edging on them. I try to keep the edge quite tight and so aim for making between 16-19 stitches along the raw edge of the half hexagon, sometimes I made more and the side bulges out some so there has been a bit of unpicking to straighten it up a bit. Once the tails are sewn in (sigh) I’ll work the edging and then perhaps gently hand wash it…..when I’ve been draping this around myself to check it’s progress the wool has felt a bit on the coarse side, however after reading about the beautiful shawl on Ella Gordon’s blog a few minutes ago I’m thinking if I gently hand wash it with lots of conditioner then it might soften up some. I’m pretty pleased with how it’s turned out so far, though I’m a little worried it’s going to be quite wide by the time I’ve added an edging….it really needs edging so that the sides will be nice and straight (at the moment they are somewhat lumpy and bumpy) so am thinking perhaps a half double crochet stitch (half treble US) may be the thing to do……I’m happy with the assortment of colours, at one point it was looking very green and although I love green I wanted this to be much more of a mix. 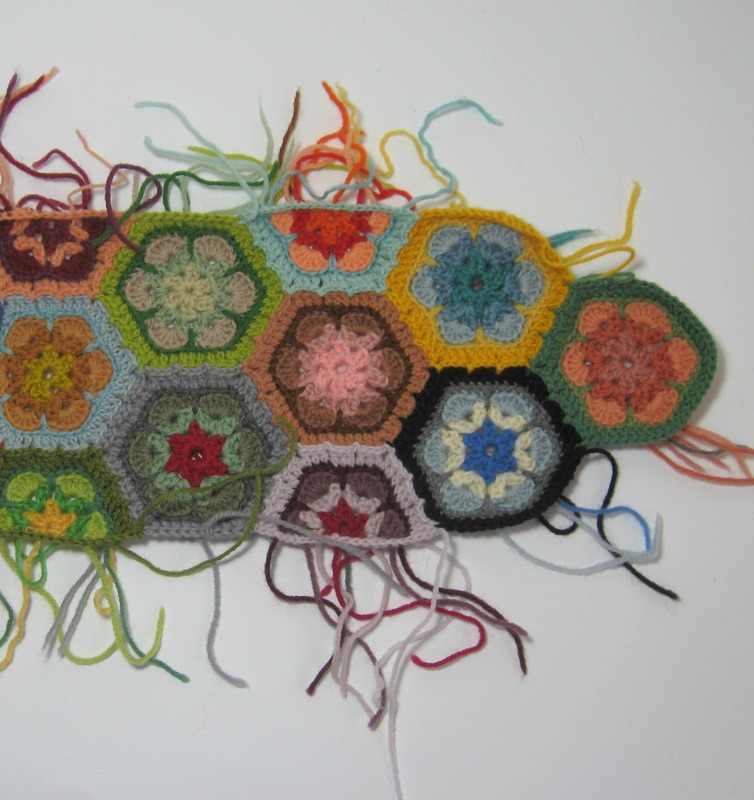 As always I used the excellent Heidi Bears tutorial for the whole hexagons and she also has a tutorial for joining them….then I use this method for the half hexagons and this is how I join them in. 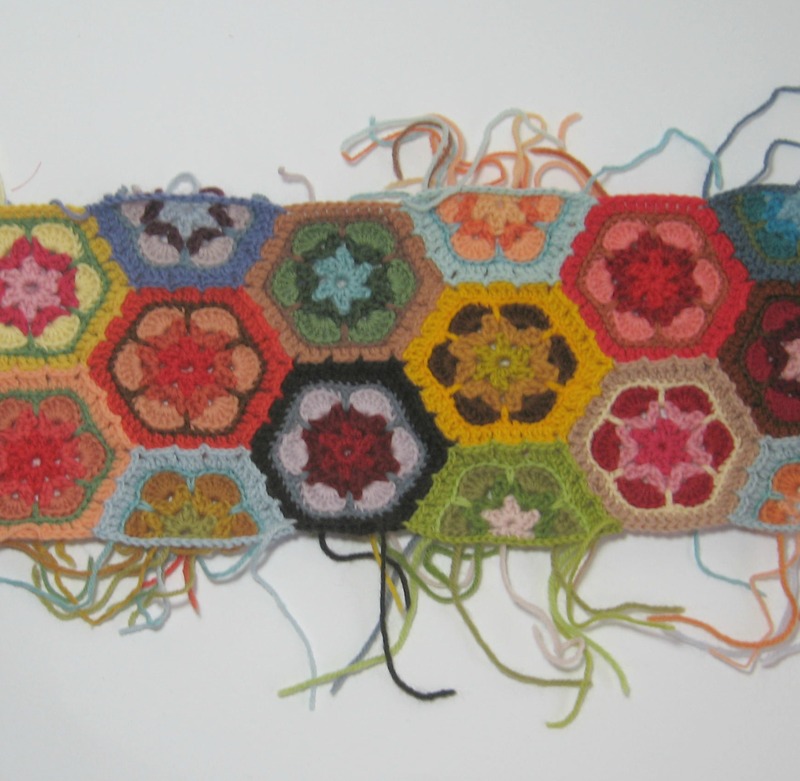 In case you are interested, I’ve now created a pinterest board which has all the pictures of the grannies paperweight blanket so far, including each stage of the hexagon and half hexagon construction….